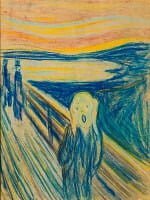 “The Scream” by Edvard Munch is one of the highlights of special exhibition of art works by Munch and Vincent van Gogh in the Van Gogh Museum in Amsterdam. 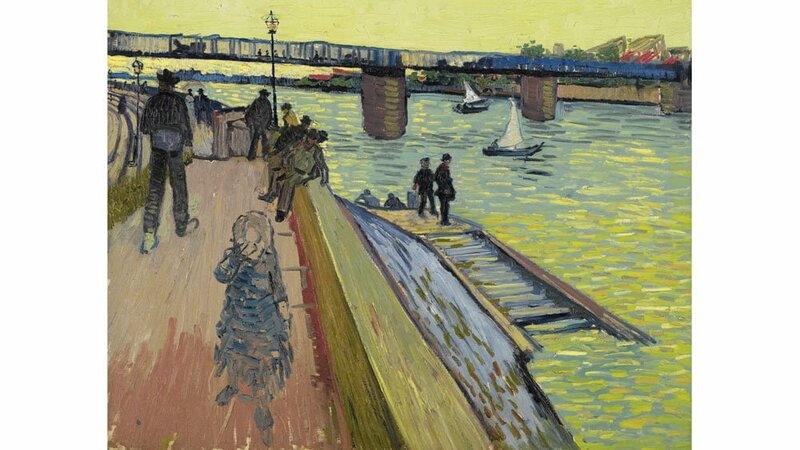 The Munch : Van Gogh temporary exhibition is on show in The Netherlands from 25 September 2015 to 17 January 2016. Around 100 works, including 80 paintings, by the two artists will hang side-by-side to show the common ground between the work of these two artists, who well over a century after Van Gogh’s death still delight and inspire millions. The special Munch : Van Gogh exhibition in the Van Gogh Museum in Amsterdam show the works of these two avant-garde artists. The exhibition focuses on the common ground between the works of the artists. They both had similar approaches to style, color and themes and used complicated techniques that left the final work look deceptively simple. 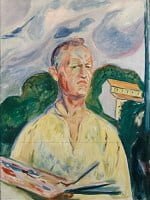 Although Edvard Munch (1863-1944) was ten year younger than Vincent van Gogh (1853-1890), both artists started painting at almost the same time in 1880. Both were initially inspired by naturalist painters in their native countries but both soon realized that their talents were wasted at home. Van Gogh left The Netherlands and Munch Norway at about the same time to set up in Paris. 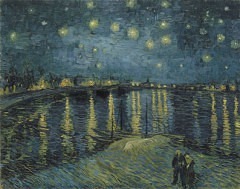 Vincent van Gogh, Starry Night over the Rhône, 1888. Musée d’Orsay, Paris. 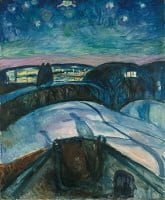 Munch was an admirer of Van Gogh’s work even before the Dutch painter’s death in 1890 but the two artists almost certainly never met in person. Munch has not exhibited prior to 1890, so it is less likely that Van Gogh knew the Norwegian’s works. The exhibition shows how the two artists developed similar techniques and covered similar themes in their works. However, as their differences are even more numerous, not all similar paintings are hung side-by-side to prevent a beauty contest developing in the gallery. 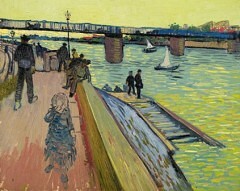 The Munch : Van Gogh Exhibition shows over 100 works of the two artists, including 80 paintings. Many of these are from private collections and rarely seen in public. Probably the most famous painting on display is Munch’s “The Scream” (1893). 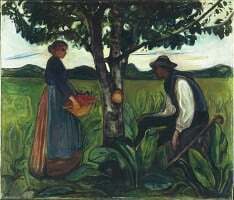 This was the first of four versions of the work and is usually in the Munch Museum in Oslo. This museum housed a very similar exhibition earlier in 2015 that alone attracted double the annual number of visitors to the museum. Almost 80 works of art are on loan to the Van Gogh Museum for this exhibition, including Portrait of Patience (‘The Peasant’), 1888 (private collection), Undergrowth with Two Figures, 1890 (Cincinnati Art Museum), Starry Night over the Rhône, 1888 (Musée d’Orsay) by Van Gogh; and Morning, 1884 (KODE Bergen Art Museum, Rasmus Meyer Collection), Fertility, 1899-1900 (Canica Art Collection, Oslo), Self-portrait with Pallet, 1926 (private collection), Madonna, 1895-1897 (private collection), The Sick Child, 1896 (Gothenburg Art Museum) and The Scream, 1893 (Munch Museum). This is the first time that these paintings by Munch have been on display in the Netherlands. A few paintings by Vincent van Gogh will also be exhibited in the Van Gogh Museum for the first time: Entrance to the Public Park in Arles, 1888 (Phillips Collection, Washington DC), Undergrowth with Two Figures, 1890 (Cincinnati Art Museum) and The Trinquetaille Bridge, 1888 (private collection). 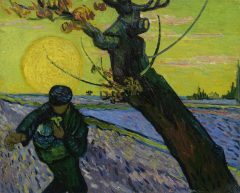 As admission to the Munch : Van Gogh Exhibition also includes entry into the permanent collection of the Van Gogh Museum, a few hundred further works by Van Gogh and his contemporaries may also be enjoyed. 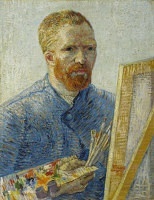 The Van Gogh Museum is open daily, including Christmas and New Year’s Day. Opening hours are usually from 9 am to 5 pm but closing at 10 pm on Friday. Until end October, the museum closes at 6 pm daily and at 10 pm on Friday and Saturday. On December 25 the museum closes at 5 pm and on 1 January 2016 is open from 11 am to 10 pm. The Van Gogh Museum is at Museumplein 6 near the Stedelijke and Rijksmuseums. The best time to visit the Van Gogh Museum is before 11 am or after 3 pm. The museum is busiest from 11 am to 3 pm – even with timeslot tickets, the middle of the day is best avoided. Similarly, it is better to visit on weekdays than on weekends or vacation days. A further cultural program in Amsterdam will show how these two artists continue to inspire and influence art and culture today. The Munch : Van Gogh Exhibition is included in the regular Van Gogh Museum admission of €17 for adults and free for under-18 years. The Dutch Museum Pass is valid and other passes may also give discounts or free admission. Everybody needs a ticket to enter the museum, so even children and pass holders should get a free time-slot ticket online prior to visiting the museum. Online, time-slot tickets are the only sensible way to visit the Van Gogh Museum in Amsterdam. Queues for the limited number of tickets sold at the museum itself are long with no guarantee of entering the museum at all. Online tickets are the normal price and free for children and museum pass holders. Turn up at the museum at the allotted time and get into the right queue. Waiting may be required if the museum is too full but for time-slot tickets, the wait is usually very short and not an issue early morning or late afternoon. Online tickets for the Van Gogh Museum are available up to four months in advance and may even be bought on the day of visit itself, if tickets are still available.